Apostle Paul mentions our feet being shod with the preparation of peace in Ephesians 6. He compares our spiritual armor with that of the Roman soldier. What purpose did shoes serve for a Roman soldier? What purpose do these spiritual shoes serve for the believer? Shoes, like the belt, may initially seem superfluous or non-essential. Imagine a fully armed soldier. He has his sword, his shield, his helmet, his breastplate and his belt... but his feet are completely bare. The picture probably seems strange, and it should! Just by envisioning it, we can tell something is missing. But the problem goes beyond just looking odd, it presents an incomplete picture of a fully armed soldier. A shoeless soldier could run into real trouble in the heat of battle. Unless he is fighting on carpeted ground, he is going to encounter some debris. It may be nothing more than twigs and pebbles, but to a bare foot that can cause serious pain—and one of the last things you want to deal with in the middle of a fight is worrying about where you step. In short, shoes allow us to step freely and without fear while we turn our full attention to the battle at hand. So what is the Gospel of Peace? 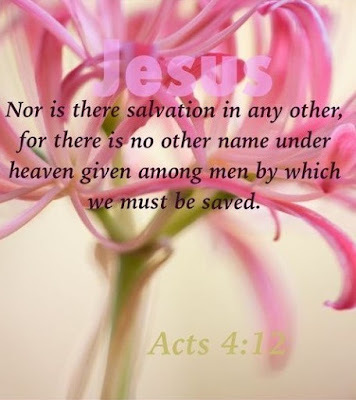 The good news about Jesus Christ; his grace (unmerited pardon) and His plan of salvation for all mankind. This is what our feet should be swift to carry. Shod With the Gospel of Peace, shoes, like the belt, may initially seem superfluous in a discussion about spiritual armor. They're great to have, sure, but aren't they more of a convenience than a necessity? Are they really that important? Yes, our spiritual shoes matter and we need to make sure we're equipped with them before we get onto the battlefield. The gospel of the Kingdom, the gospel of Jesus Christ, the gospel of the Kingdom of God, the gospel of the grace of God, the gospel of peace—these are some of the descriptions attached to the word gospel throughout the New Testament. Do all these different qualifiers mean that there are multiple gospels set forth in the Bible? No. The Greek word translated gospel—euaggelion—simply means "good news." This raises a question: The good news of what? The first description used in the Gospels also summarizes all the others: The gospel of the Kingdom. The good news of the Kingdom of God includes the good news about Jesus Christ the King, His grace (unmerited pardon) and His plan of salvation for all mankind. This plan gives us peace now, and will bring peace to the whole world! This is the message God's people are eager to share with others. Our loving Father is preparing us all for a future beyond imagination and description. God's Church is sent to announce the good news of God's Kingdom, which will spread His way of peace around the whole world. Having our shoes on, we are ready to move, to spread these glad tidings to others. In Apostle Paul's day, he walked countless miles in delivering the good news. Today, transportation and communication have changed, but we must also be constantly ready to do our part to spread the good news to all you have not heard or been aware of. In spite of all human attempts at peace, it's clear from the daily news reports that this world does not know the road to peace. 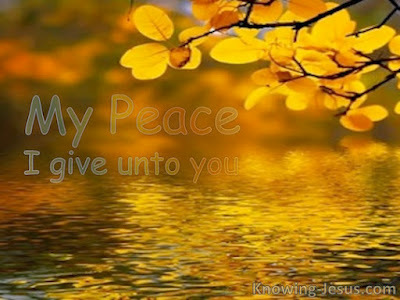 Following Christ's steps is the way to real peace. The Bible makes it clear that, when God's Kingdom is established and the entire world begins to live God's way faithfully, the resulting peace will be universal. There will be no more war or fear, only the worldwide peace that comes from God's way of life. Apostle Paul tells us that our preparation for battle is the gospel (good news) of Jesus’ life, death and resurrection. 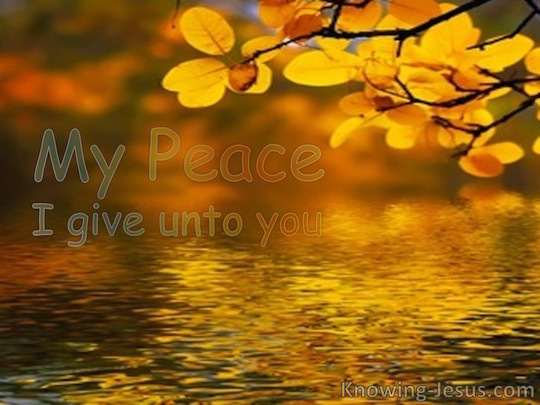 The work of Jesus here on earth brought us peace with God. This reconciliation through Jesus allows us to fight with boldness, confidence, perseverance, and peace. This is the gospel as we have received it. It is foolishness to many, but life and light to those who believe in it and are willing to follow and be "included in" Christ's death. In practice, the Gospel means we are dead to our self-life with all of its lusts and instincts, and alive with new life in Christ. The good news is that by considering ourselves "dead men" in Christ, we can be put at peace with God in Christ. If we have truly died to self, then over time our instincts will be "dead" to the rocks and glass and thorns of this world which used to move us. Those standing on the gospel will not react according to our carnal self nature. Instead, we will move by God's Spirit with a protected disregard for such "fleshly" considerations and being "readied" by the "shoes" of the "death, burial, and resurrection of Christ", which is the Gospel that brings peace. How do these spiritual shoes help us stand firm? and so we have nothing to fear from it.